All the latest news from the Sunrock world. Is it Time to Re-Shuffle Your Deck? It will soon be that wonderful time of year when we like to spend time relaxing or entertaining outside. But have you got the perfect deck on which to put your recliner or dining table and chairs? Here at Sunrock, we completely understand if you’re put off by the high maintenance of traditional hard or softwood decking. After all, not everyone has the time or the desire to put in all the effort that’s required to clean and oil it every year. So, we have the perfect solution by offering you a range of low maintenance options that not only look fantastic but provide the longevity you’re looking for too. Our main supplier is EcoDek – a decking system made from recycled materials. As a sustainable and low maintenance alternative to timber it offers the perfect decking solution. Ecodek wood polymer composite (WPC) products are manufactured using a carbon-negative process, which means that its production actually removes carbon from the atmosphere. That’s why EcoDek is genuinely sustainable. 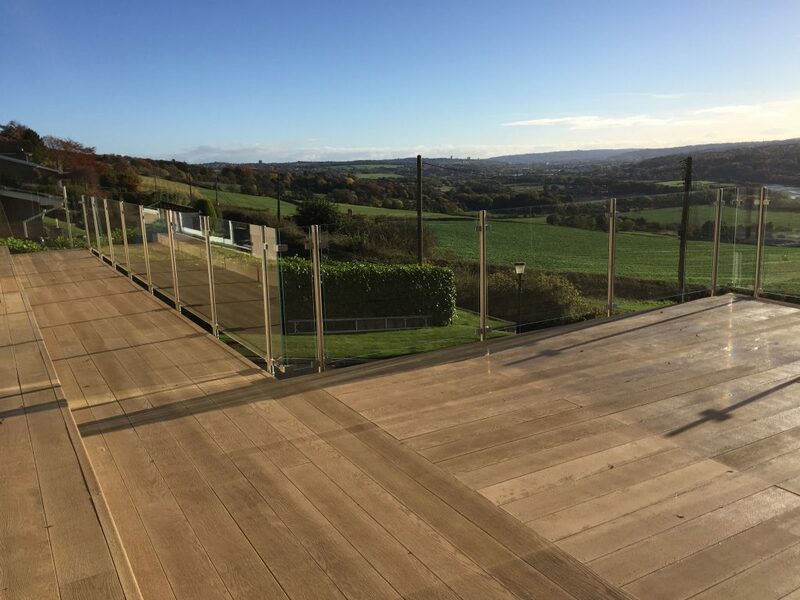 Heritage deck boards are designed to reflect the appeal and beauty of natural timber whilst providing a much higher performance level than wood can offer. It has an attractive wood grain effect which brings the beauty of timber but without its flaws. It will not stain, warp, split or flake. As Heritage boards are coloured through the manufacturing process, the colour will remain consistent even after weathering. Heritage boards are available in 5 colours; Pennine Millstone, Highland Basalt, Cornish Pebble, Brecon Shale and Welsh Slate. 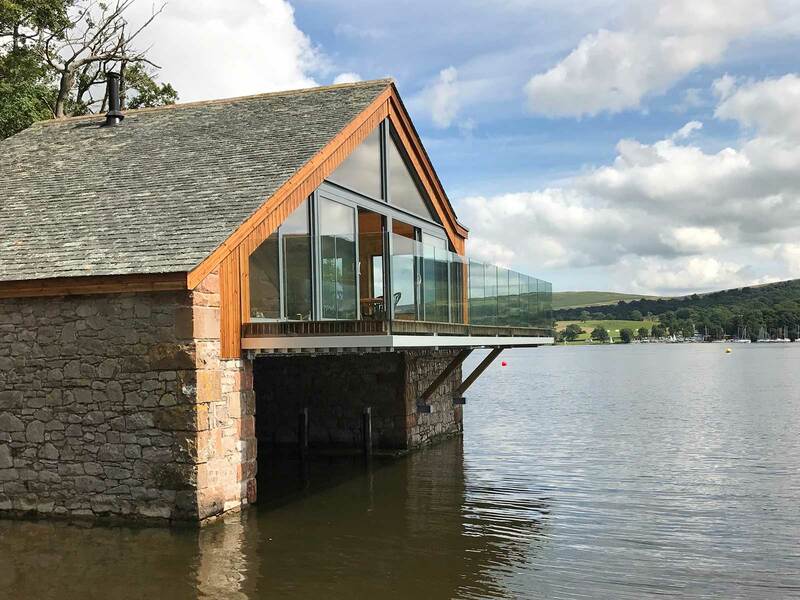 Having been developed specifically for decking boards, they have the appearance of natural hardwood timber but offer an alternative option where ribbed or grooved boards are required. Each board is exceptionally strong and can be used in a variety of construction projects. Being supremely slip resistant this just adds to its versatility. The attributes of this board make it highly suitable for commercial decking projects due to the ease of alignment and even dimensions. As with the other boards, the HD option is coloured through the manufacturing process so colour is maintained even after weathering plus even after being subjected to low temperatures it will not flake. Both EcoDek AT and EcoDek HD are available in Dark Brown, Black, Pebble Grey, Light Brown and Slate Grey. Sunrock decking offers you the solution for a year round, safely slip resistant deck which is also low maintenance. In addition, all balcony decking installed by Sunrock Balconies carries a 25-year manufacturer’s guarantee. If you are looking for more inspiration, take a look through our product range to get some more ideas. if you’ve already decided and are ready for the next step then request a quote today. If you would like more information we’d be happy to answer any questions or discuss a job you have in mind so get in touch today. Let Sunrock transform your domestic or commercial outdoor area. We can guarantee you will not be disappointed. Why choose a Juliet Balcony? Juliet balcony systems offer enhanced aesthetics, make installation easy, require almost no maintenance, give the sense of security and, of course, are great value for money. A Juliet balcony is a very narrow balcony or railing which sits just outside a window or pair of French doors on the upper storey of a building. 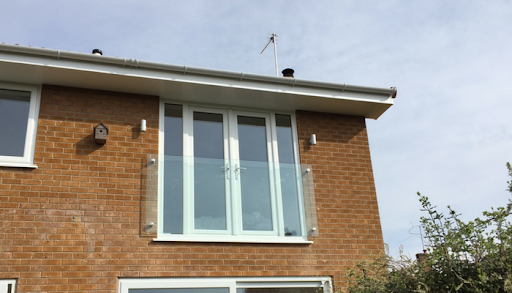 Available in a variety of sizes, colours and styles, glass and/or stainless steel, the possibilities are endless with a Juliet Balcony, no matter the properties period. Whilst a Juliet balcony does not expand the floor space of a property, it can help to change how you use an existing space. By replacing windows with much larger French doors, the room is filled with light, often making it feel larger and more pleasant. We design our Infinity Glass Juliet Balconies to deliver unbroken views from your patio doors, French windows and bi-fold doors. When you open your doors you can let the light flood in with the security of knowing you and your family are completely safe. 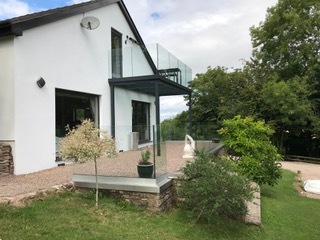 A Sunrock Infinity Glass Juliet balcony will add a stunning design feature to your property and delivers an elegant solution to fully comply with UK Building Regulations. This design encases toughened glass between beautifully finished stainless steel top and bottom rails with matching fixings. The Hanley is usually fixed either side of the door opening but in some cases, it can be fixed straight to the window frame. Striking Design Feature – The Hanley Juliet balcony will add a striking design feature to your property and delivers an innovative solution to comply with UK Building Regulations. A Barbican Juliet balcony is custom designed for the exact requirements of your door opening. The Barbican Juliet features stylish stainless steel uprights with matching stainless steel engineered fixings throughout and can be installed with or without a handrail. 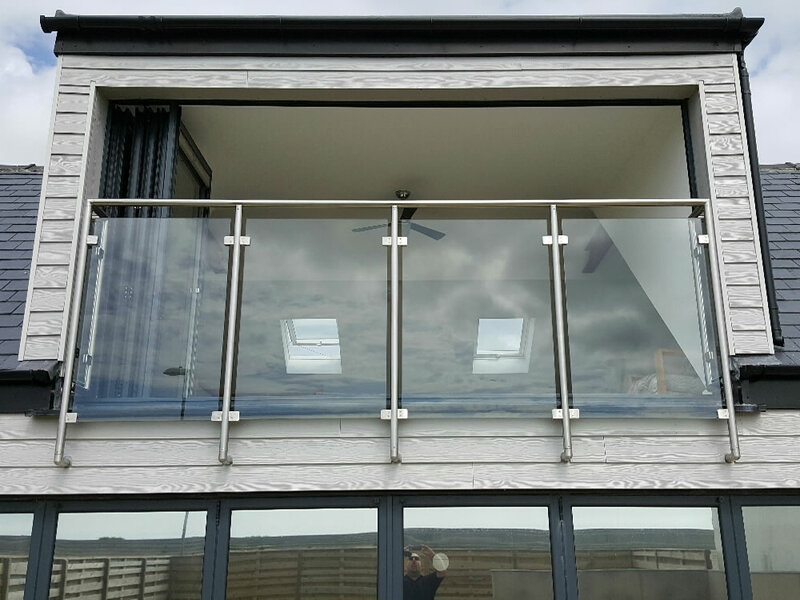 The Barbican Glass & Stainless Steel Juliet balcony offers a flexibility of design which means we can find attractive solutions to tricky installations while still complying with UK Building Regulations. Which Sunrock Balconies Juliet design do you want? Have a look through our product range to get some more ideas, or if you are ready for the next step then request a quote today. Get in touch – we’d be happy to answer any questions or discuss a job you have in mind. Summer 2018 was amazing wasn’t it? Were you able to get outside and enjoy the sunshine on your balcony or terrace? Don’t have one but would like one? If so, you’ve come to the right place to get you started. The first thing to think about is what you’re going to use it for. Is it just to sit on your own to read a book or a place to entertain friends and family with a full-scale BBQ? Once you’ve decided you can plan the rest. There are many balcony and terrace flooring solutions out there. 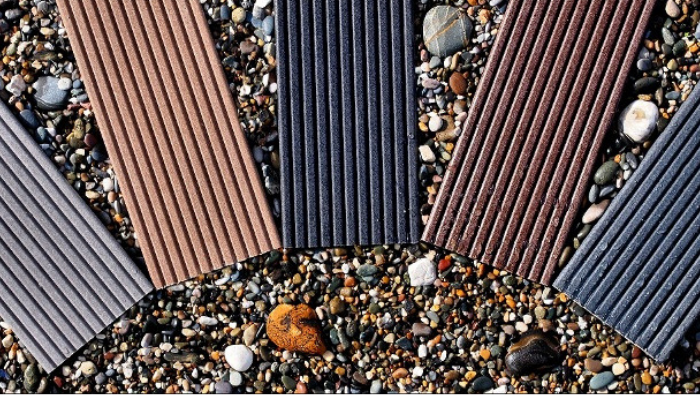 From Wooden decking, stone or slate to turf or even gravel. It’s all about budget and requirements – remember you’ll need a sturdy base for furniture or a BBQ. But we have a solution that can meet both. 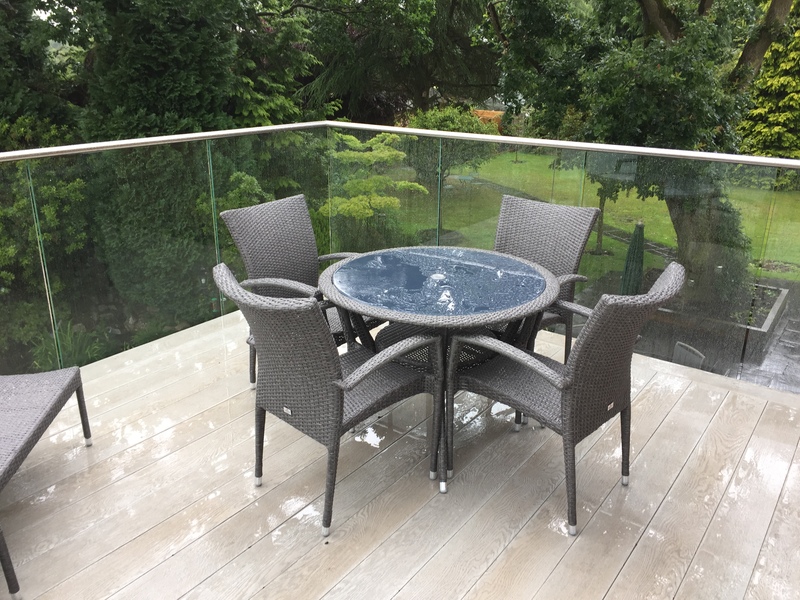 Sunrock Balconies install all balcony decking using EcoDek, a 100% recycled product made from Wood Polymer Composite which carries a 25 year guarantee. It is virtually maintenance free (you still have to clean it) because it doesn’t host algae. Depending on your setting, you may like to consider glass flooring an alternative. You will want something beautiful that adds an architectural feature too. 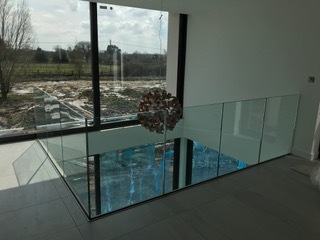 Our infinity glass balustrades break down the visual barrier between your indoor and outside living areas but will also connect them. 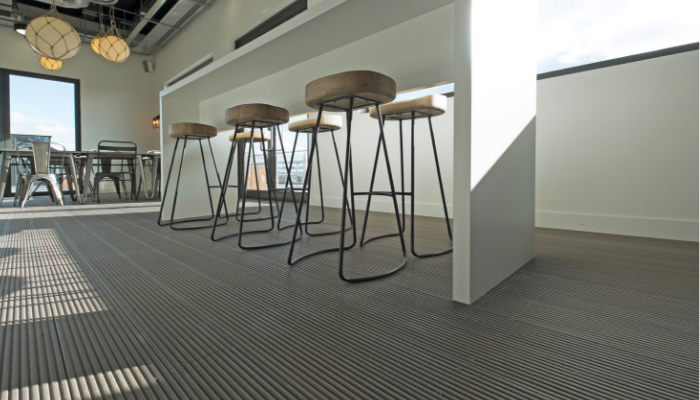 The feeling of space you will gain cannot be beaten and it will provide an essential safety barrier compliant with regulations. If your outside living space is higher up, adding a spiral staircase, steps or gates may also be something to think about. Do you want a gas heater or firepit? Great if you want to use your space in cooler weather. Deckchair, sunlounger or dining sets, wood or rattan, there is so much to choose from – the possibilities are endless. Some twinkly lights or a lantern provide a warm glow or for more light solar powered LED lighting is an option. Here at Sunrock Balconies our dedicated team of experts can help and advise you on making the right choice from the variety of options we have on offer. We are certain it will make the difference you are looking for to your property. Get in touch, we’d love to have a chat about your project. Thinking about adding a balustrade to your balcony or terrace? 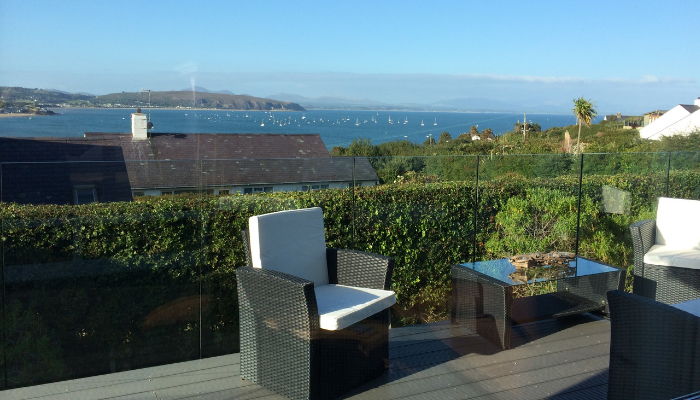 Consider glass balustrades first….. here’s why. Adding a balustrade to your balcony or terrace helps to separate a space for outdoor living from your garden or other external areas. It also provides and essential safety feature if the area is raised and very often adds the perfect finishing touch to your project. Sunrock Infinity Glass Balustrades offer sophistication and elegance to your outdoor living space. They can transform your patio, balcony or terrace by allowing maximum light in plus an uninterrupted viewpoint. 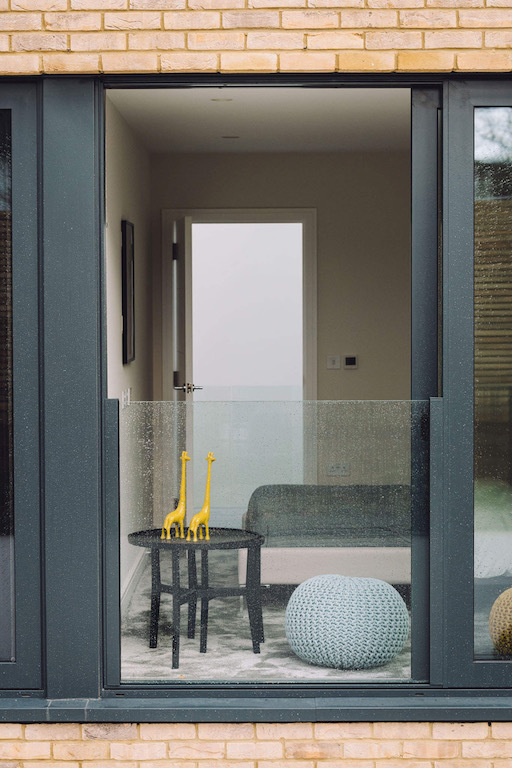 Our Infinity Glass Juliet Balconies provide the safety barrier you need for your family whilst at the same time allowing light to flood into your room. Having an Infinity Glass Balustrade installed is most likely to add financial value to your property. The words ‘high end’, ‘luxury’ and ‘modern’ are all key words you can associate with our balustrades – words which are very often on the wish list of homebuyers looking for a modern finish and luxurious feel to their potential new home. The nature of glass ensures that it fits seamlessly into most indoor and outdoor designs. Sunrock Infinity Glass Balustrades are beautifully engineered, ultra-modern and can be completely frameless. As a result, they deliver a wonderful feeling of space drawing the area beyond in and allowing light to flood in. Believe it or not glass is very durable. It will not be affected by weathering such as rotting or fading. 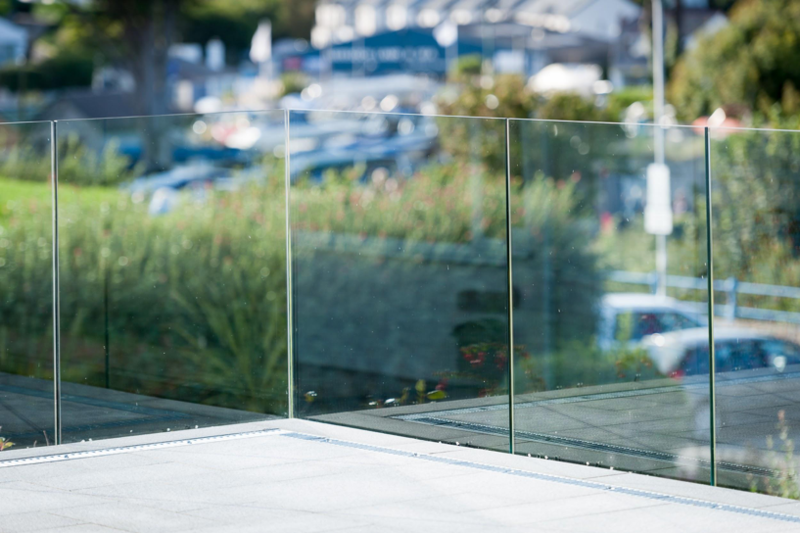 Our balustrades without a handrail are manufactured with 17.5 mm laminated toughened glass. Those with a secure handrail will be 15mm toughened glass. All rails and fixings are matching marine grade 316 stainless steel which is particularly good if you are by the coast or have a swimming pool. All glass is certificated. Forget about oiling timber every year or replacing rusty railings. Life is far too busy for that. Sunrock’s Infinity Glass Balustrades are the perfect solution offering a simple cleaning regime rather than time consuming and laborious maintenance. All you have to do is wipe the glass over with a soft cloth using a mild detergent diluted in water. We’d suggest doing this every 1-2 months, depending on where you live and how the weather has been. Alternatively, how about asking your window cleaner to do it? If you’d like to know more about our products or would like to talk through a project you have in mind, Sunrock Balconies has a dedicated team of experts who can help and advise you on all aspects of your project. Our aim is to help add function, style, and appeal to your home so get in touch today. British Homeowners like nothing more than to carry out home improvements to add value, improve their living space and create kerb appeal. But have you ever thought that it can also have a positive impact on your wellbeing too? If you have small children or pets you’ll be well aware of the dangers of a raised terrace or an unsafe balustrade. Sunrock’s Infinity Glass Balustrades and Juliet Balconies act as an attractive barrier to prevent accidents. They are built to UK Building regulations so your mind can be put at ease that your family will be safe. The UK’s Building regulations are minimum standards for design, construction and alterations to virtually every building. They are developed by the Government and approved by Parliament to ensure the safety and health for people, including those with disabilities, going in or about those buildings. 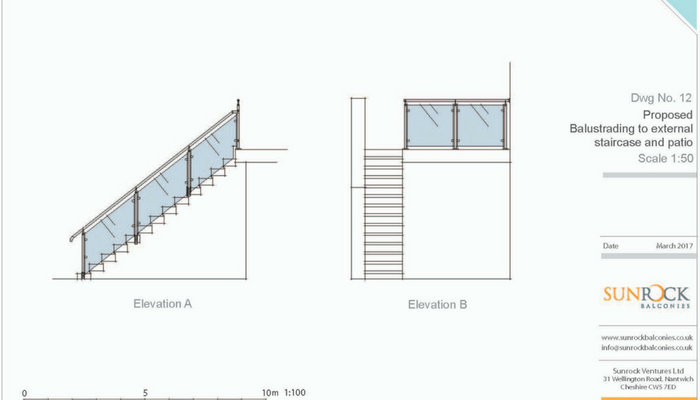 Balustrade will be minimum 1100mm high from Finished Floor Level. At 1100mm height there is no more than 25mm deflection with a load of 0.74kn. There will be no gap in the balustrade that a 100mm diameter ball can fit through. If there is no handrail then Toughened Laminated Glass is used to provide a barrier if one of the panes are broken. 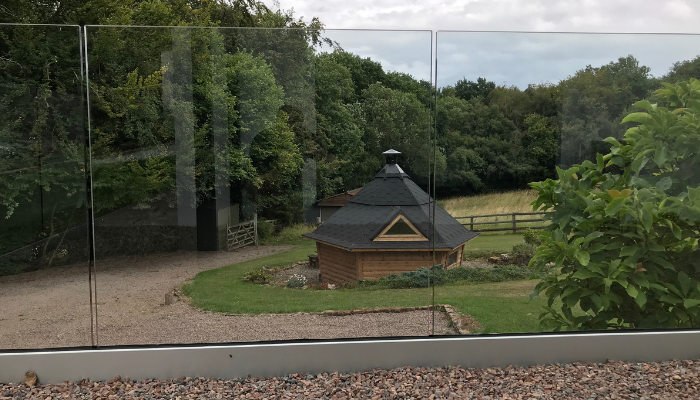 Sunrock’s Infinity Glass Balustrades can transform a terrace from what could be an unusable space to one that will provide a safe area with the added benefit of being shielded from the wind. In addition, our new Infinity View Juliet Balconies provide a safe way to fill your room with light and fresh air too. We all love the sun – it has a huge impact on our mood and also boosts health and wellbeing. The vitamin D derived from sunlight boosts the immune system and UV promotes the production of serotonin which improves our mood and levels of energy. 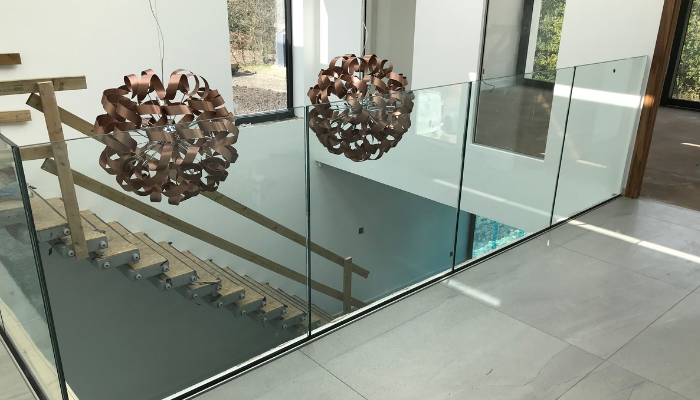 Our Infinity Glass Balustrades and Juliet Balconies allow large amounts of light to flood into the room compared to wooden fence or metal railing so they have a positive impact on your outlook in more ways than one! 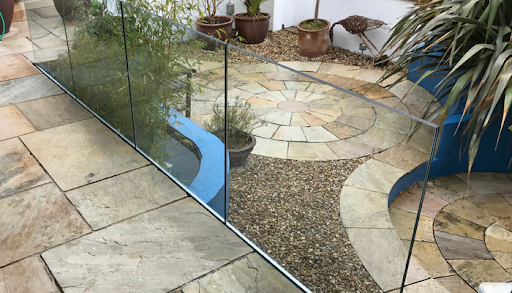 For smaller gardens, our Infinity Glass Balustrades really come into their own. They are the ultimate design feature for breaking down visual barriers between your indoor and outside living areas. Beautifully designed they create a feeling of space from inside as well as providing more living space outside. This will help to change your lifestyle by giving you the opportunity to really maximise your garden, giving greater access to a pleasant and useful space so you can feel good about your home. Having read this you may want to tap into the feeling of wellbeing and let Sunrock Balconies make the difference you are looking for – Add style, function and appeal to your home and bring the outside into your home today. Get in touch – we’d be happy to answer any questions or discuss a job you have in mind. There is a real threat to the supply of glass to the Insulated Glass Unit (IGU) industry. Some suppliers have found availability of some types of glass is limited or has been delivered late. The price of glass is also a real issue not only for the suppliers but for customers wishing to buy glass products from them. Manufacturers will inevitably have to pass on their costs to their customers and this is a tricky situation for any industry. What is the cause of the glass shortage? Europe is going through a strong construction phase but at the same time key float lines have been closed down. Float lines are where sheets of glass are made by floating molten glass on a bed of molten metal which gives the sheet uniform thickness and a very flat surface. In the UK, very little glass is produced for own use, mainly because the larger firms have scaled back their production. As a result, we have to import a lot of glass from Europe which is adding demand to a dwindling supply. In recent reports suggestion has been made that the shortage has been engineered to justify price increases. However, when there is a demand for a product that is short in supply, whether it’s deliberate or not, price is a genuine problem. It’s also been mooted that the IGU sector has kept prices artificially low in recent years. As prices rise therefore, those who have sold on price only, will now have no room to move. So, lack of supply and price may well see some of these companies closing because they cannot survive in such a market. For the larger glass producers, the UK is not a very profitable market. Poor exchange rates and a slowed GDP (Growth Domestic Product) along with growth of European construction means they can make the commercial decision to actively focus on supplying glass to Europe and beyond. In other words, they can pick and choose who they supply to because glass is becoming a very valuable commodity. For some the outcome could be very serious. If there is no glass to create their product, installation companies will have to source it elsewhere and pay the higher cost which could break them. However, if like Sunrock there is a strong and loyal business to business relationship between them then this provides a more positive outlook. This situation has been brewing for some time, but panic and speculation can have a detrimental effect on it too. So, it’s all about planning. Sunrock will ensure that stock is secured and allocated for orders already placed. For those customers who have had a quote we will honour all it for 60 days from its date. However, if you would like to proceed with a Sunrock order, we suggest you place it as soon as possible to lock in current prices. We can then ensure the components are reserved as well as maintaining the price. Here at Sunrock Balconies our dedicated team of experts can help and advise you on all aspects of your project. Our aim is to help add function, style, and appeal to your home so get in touch, we’d be happy to answer any questions or discuss a project you have in mind. Sunrock Balconies prides itself on offering a complete end to end service. From design to quotation to full installation we will work with you to get the best results for your balcony project. 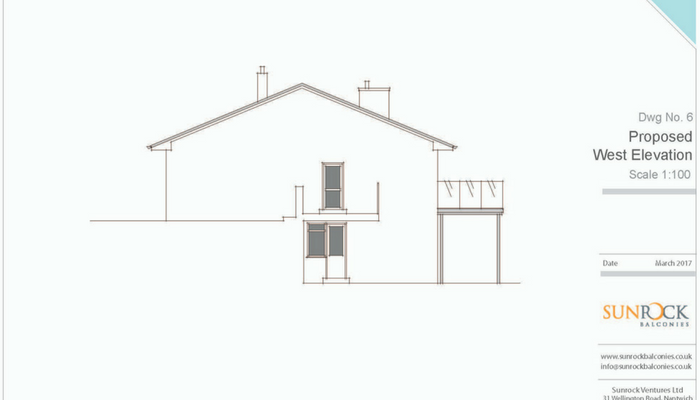 We design the balcony to fit the exact dimensions specific to your home. The very nature of this means that every single Sunrock product from the smallest Juliet to a full Balcony Frame is custom designed for your property, then made absolutely bespoke to your specifications. Our guarantee is that all Sunrock Balconies, Balustrades and Juliet Balconies are designed to pass UK Building Control regulations. For some projects, however, you may need to get planning permission if you want to make a major change to your building. 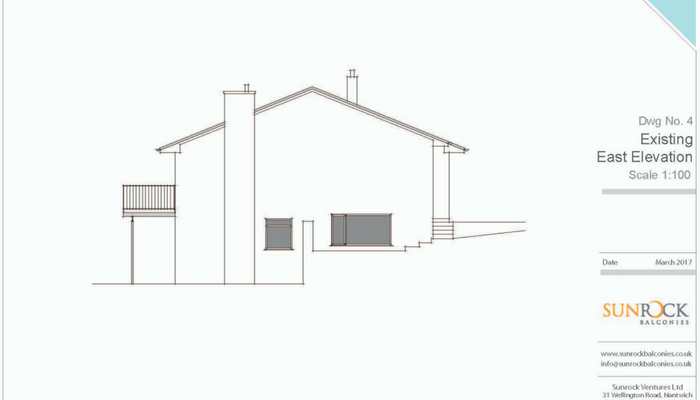 We’d always advise you to check with your local authority if your project will require planning permission. 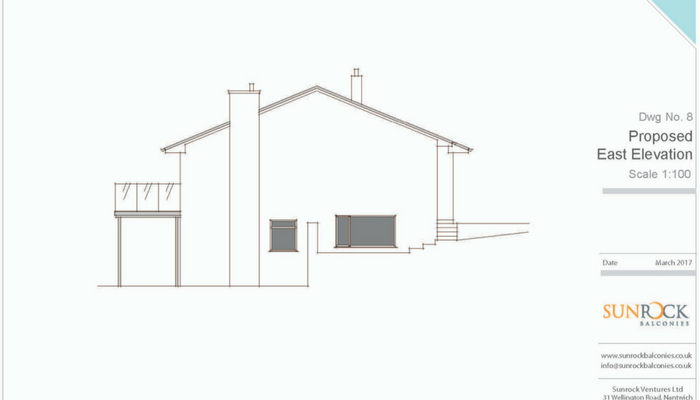 If required, Sunrock can provide planning drawings for £750 + VAT. This is a significant saving compared to commissioning an architect and/or structural engineer to do the same thing. 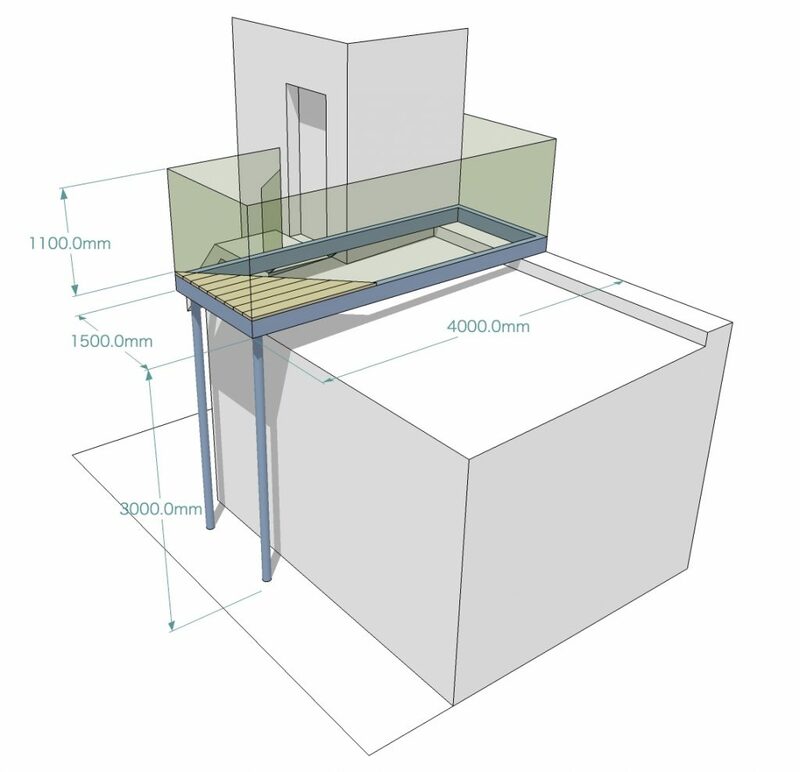 In addition, if you order the balcony from us we’ll discount your final invoice by £250 + VAT so the real cost for planning drawings is £500 +VAT. Sunrock Balconies offer lots of options to make the difference you are looking for in your property. So, we invite you to add style, function and appeal to your home and to Get in touch with us today – we’d be very happy to answer any questions or discuss a project you have in mind. Our Design and Build philosophy is borne out of experience – over 30 years of it in fact! We see it from 3 different perspectives because Sunrock always wants to ensure the best possible outcome for its customers. That way, you can sit back and relax knowing everything will be taken care of from start to finish. At Sunrock we design the balcony to fit the exact dimensions specific to your home. The very nature of this means that every single Sunrock product from the smallest Juliet to a full Balcony Frame is custom designed for your property, then made absolutely bespoke to your specifications. This is one reason why we don’t provide pricing online as every property will be different. 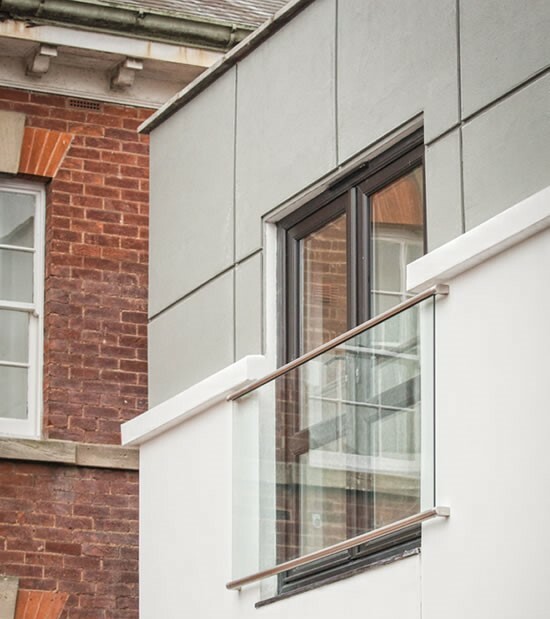 All Sunrock Balconies, Balustrades and Juliet Balconies are designed, built and installed to pass UK Building Control regulations so you can be assured they are completely safe. Leave it all to us! 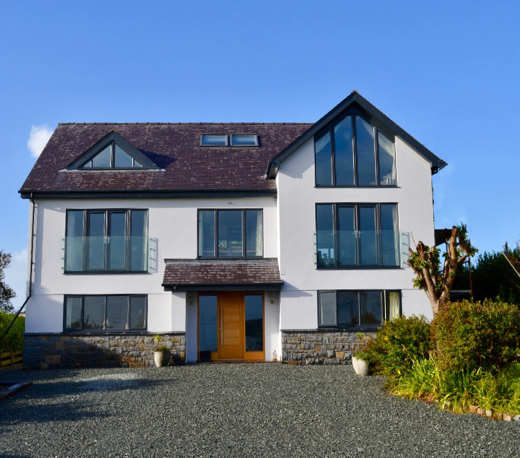 At Sunrock we work directly with you but can also liaise and consult with your architect, contractors or tradesmen. We will do our utmost to get the best results for your balcony project. Our team is professional, hardworking and reliable. At the end of the project we will hand over a tidy site, on schedule and in budget. Why not let Sunrock help and advise you on your project? We can assist you to add function, style, and appeal to your home so get in touch, we’d be happy to answer any questions or just have a chat about a project you have in mind. Do you know what a Balustrade is? If not, here’s the official definition from Google…..
To be perfectly honest, you probably did know but frequently when customers ask us to quote for a balcony we find they’d actually like a quote for a balustrade. In other words, they’ve already actually got the patio, balcony, decking or flat roof and are looking for a barrier or railing to edge it. Example of our infinity glass balustrade. 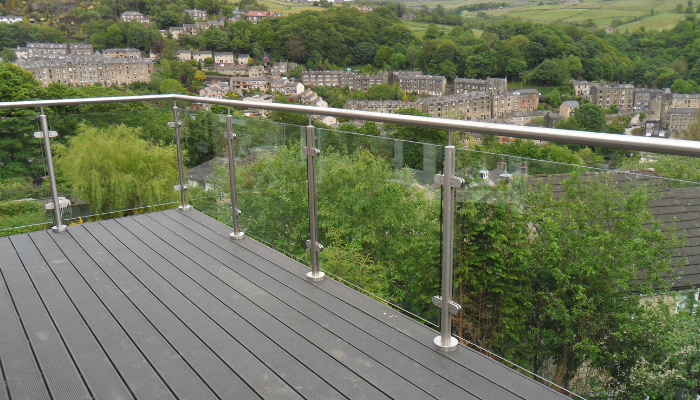 Because these areas are unique to every property, our balustrades are produced specifically to fit them. So, every balustrade we produce is completely bespoke and the glass is only ever made for that particular project. Simply put, we make the balustrade to fit your balcony not your balcony to fit the glass we have in stock! This is the main reason we don’t sell balustrade kits to be fitted by builders or self-fitted. Sunrock Infinity Glass Balustrades are beautifully engineered and ultra-modern. 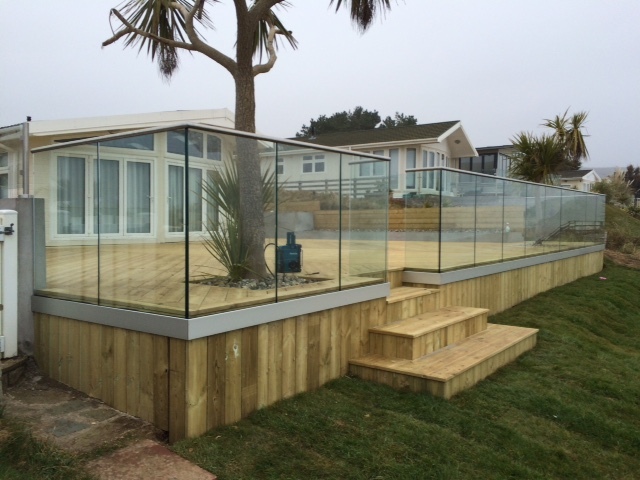 They can be completely frameless or can be built with a handrail… the choice is yours. Either way, they deliver a wonderful feeling of space but also provide a safety barrier compliant with regulations. Sunrock Barbican Balustrades are a stunning Stainless Steel post and clamp system with bag loads of configurations so we can fit to almost anything! The UK’s Building regulations are minimum standards for design, construction and alterations to virtually every building. They are developed by the Government and approved by Parliament to ensure the safety and health for people, including those with disabilities, going in or about those buildings. They also help conserve fuel and power. Enforced by building control bodies, you can either use approved inspectors or employ private building control firms. However, most people elect to use the expertise of their Local Authority Building Control or Inspectors department. They are there to protect you and your money from cowboy builders and unsafe practices. You can rest assured that as a national company with over 30 years’ experience, Sunrock Balconies are certainly no cowboys. We are experts in steel fabrication, glazing, and design. With regional offices throughout the UK we work on large commercial contracts as well as residential projects. The team at Sunrock will be happy to answer any questions at any time during your project. In addition, you will always be given expert advice, involving you at every stage particularly when decisions need to be made. Our team is professional, hardworking and reliable. At the end of the project we will hand over a tidy site, on schedule and in budget. Let Sunrock Balconies make the difference you are looking for – add style, function and appeal to your home and bring the outside into your home today. Get in touch. We’d be happy to answer any questions or discuss a job you have in mind.